I discovered this Argentine Artist by chance as I walked past Cardiff’s Blue Dot Gallery. His art was displayed in the window and I popped into the gallery to see more of his beautiful and seductive paintings. I instantly loved them and the Cezanne-esque brushstrokes. That was back in 2012. 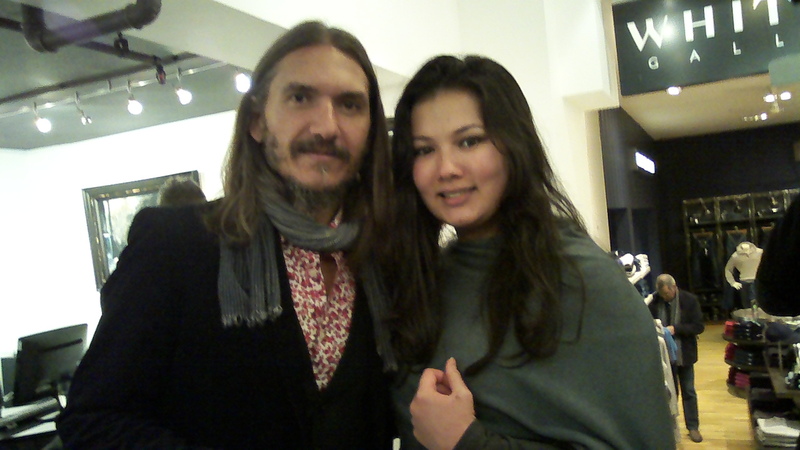 The following year I had the good fortune to meet the Artist Fabian in Cheltenham’s Whitewall Gallery. I was pretty nervous to meet him which is quite unusual because I’m always attending events like these. 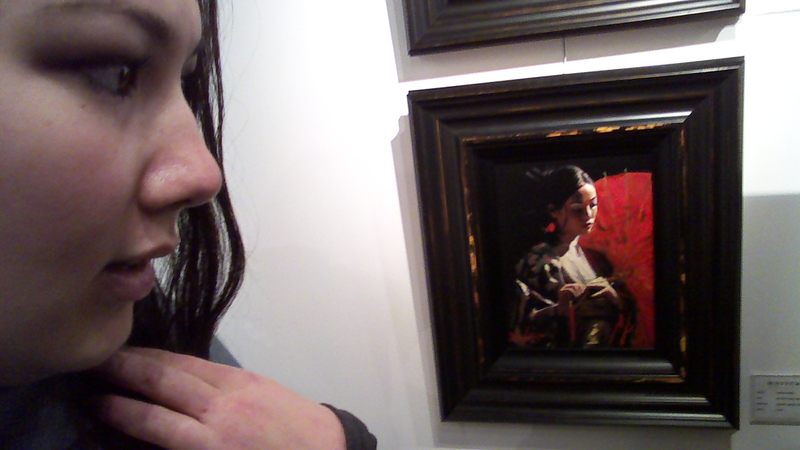 So I asked him who Michiko was-he does many paintings of her (turns out she’s an old friend from Japan.) I asked him how to get started with painting he answered it’s important to learn how to paint, master the basics then cultivate your own style. I was so nervous I ended up cutting the conversation short. My Mum was there with me whilst I chatted to him so I introduced my Mum to him! Initially we arrived prior to his attendance so me Mum & Dad had a good wander around the gallery that showcased his work. It was jam-packed with collector’s and fans! The reason my parents came was because Cheltenham is an awkward place to get to by train. It’s only a 1 1/2 hour drive but via train it’s 2 1/2 hours with x2 stops! We got to walk around the beautiful city of Cheltenham so it was wroth the trip for us all. His paintings of Michiko are my favourite no doubt because with our Asiatic eyes she’s the lady I most resemble out of the many women Perez paints. Call it a Bias of Vanity. Fabian did not have the easiest upbringing. Do have a read of his biography you’ll be touched and inspired by his Art even more.